Tickets for remaining home games against Bristol and Bath are on general sale from the Leicester Tigers ticket office now. Book early for the best prices. Tigers host Bristol Bears on Saturday, April 27 (3.00pm) and welcome old rivals Bath Rugby on the last day of the regular Gallagher Premiership season on Saturday, May 18 (4.00pm). 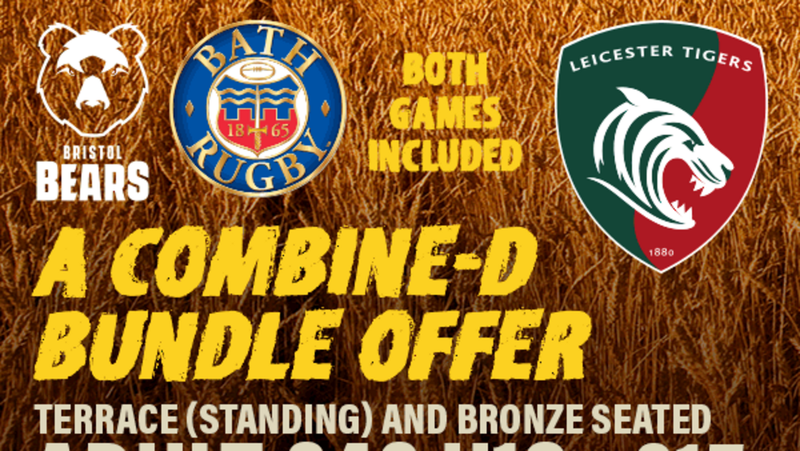 Supporters can also make most of a West Country Bundle and purchase tickets for both fixtures together from only £40 for adults and £15 juniors. There are limited numbers of tickets available at these prices, so make sure to book as soon as possible to get the best value. You can book tickets in person at Welford Road, by phone on 0116 319 8888 (option 2) or online using the link below. 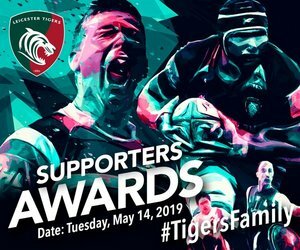 If you are following Tigers on the road, please note that tickets for the away game against Newcastle Falcons on Friday, April 12 are now available only from the host club. Match tickets for the trip to Harlequins in Round 21 on Friday, May 3 (7.45pm) will go on sale to season ticket holders and members at the Tigers ticket office from April 12. Travel for all away games is available with the Leicester Tigers Away Supporters Club, including an overnight stay for the Newcastle trip. Places are also available on the coach trip to the Quins fixture. To book away travel, phone John Griffiths on 0116 210 1056 or see him in the Final Whistle bar at Welford Road after a home game.